This weekend I was on Tia/Aunt duty and my first responsibility was taking my nephew into the city for his art class. After dropping him off I realized I didn’t really have a plan for what I would do for the next four hours, poor planning and the need to finish the latest episode of “Sleepy Hollow” can be blamed for that. Anyway I dropped him off to class and decided to go with the old freelancers standby, Starbucks. Two minutes in there and I was READY TO GO. There was nothing for me to eat, I already had tea, add to that the spotty Wi-fi, I needed to move QUICK FAST. 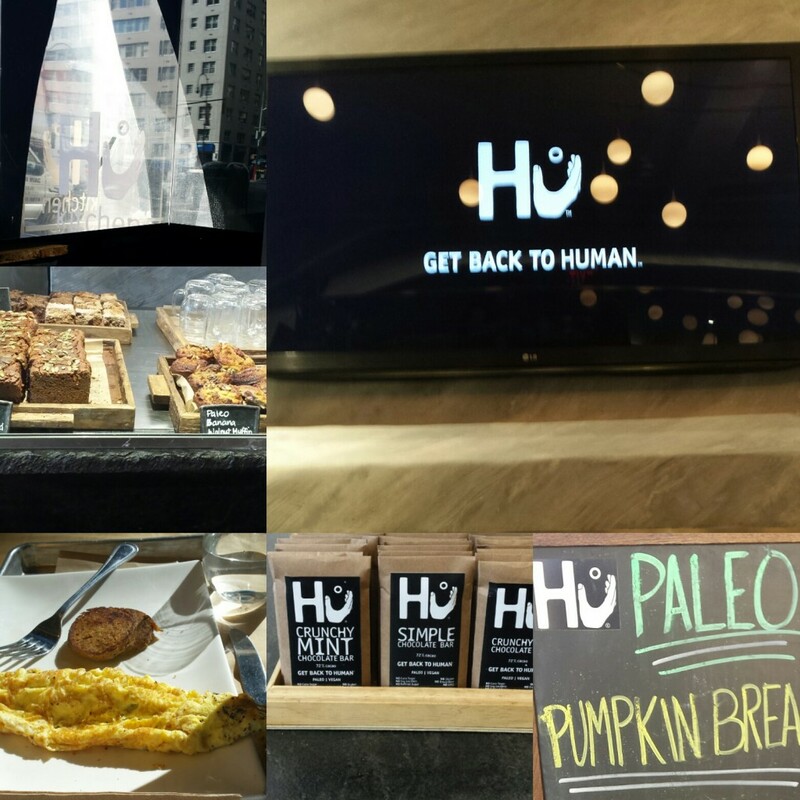 I decided to just walk to another blogger haunt when I ran right into the Paleo holy grail, Hu Kitchen. Now I’ve been to Hu Kitchen before but it was always a rush and I never had the time to take pictures or even just enjoy the environment, but today I had four hours on my hands and I intended to enjoy it. I took a look at the menu and decided to go with my standard breakfast sans the tomato and avocado (I may have OD’ed on them this week). It was delicious. 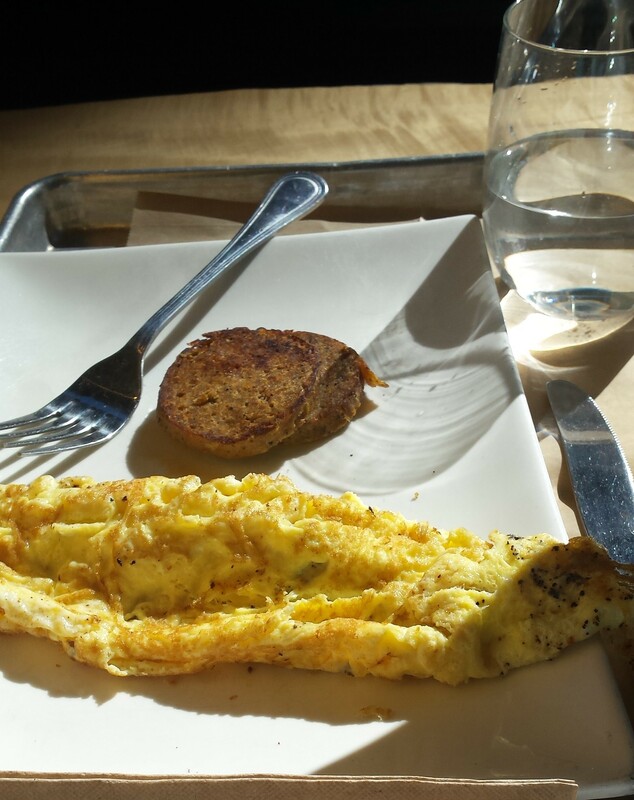 The chicken sausage was spicy and the eggs were seasoned well (can’t even get that at most diners). The entire meal cost me $8, which I guess is about the standard for a healthy breakfast but still struck me as a little pricey as an every day option. While I chose a standard breakfast tHu Kitchen offered a ton of options like sweet potato mash, jordy cake, paleo pancakes and breakfast bowls with quiona base starting at $8.95. Hu Kitchen also has many grain free options including pancakes (almond flour and banana batter) and all sorts of muffins, if you need to grab something on the run. My only issue with Hu is pricing, an issue you often run into when discussing transitioning to a Paleo Life and one that keeps a lot of people away. It can be expensive lifestyle to maintain and as I’ve already said pricey if this is your go to for breakfast everyday, but it’s fine as a splurge. While I was sitting and enjoying my water I asked a few of the Black people in the restaurant if they ate here regularly, and when they were home did they live a complete Paleo life, the answer was YES! On the flip side when I asked the 5 staff members, they said No. One young lady explained to me ” I would love to eat this way at home, but organic is expensive and well we are just regular people. Even with a nice salary here, I can’t afford it” Which signals to me that we need a deeper conversation about access to nutritious foods. LOVE Hu Kitchen! 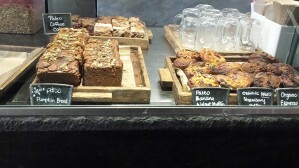 You are making me hungry. I was turned on to the establishment by a former client…all of their offerings are nutritious and yummy much like the foods I make at home. Thanks for the gentle reminder to visit again and yes, we need a much more deeper conversation about accessibility to nutritious foods. Sounds and looks like I’m missing out on some yummy, wholesome food! Great post!